Apisit graduated from McCormick Faculty of Nursing, Payap University. 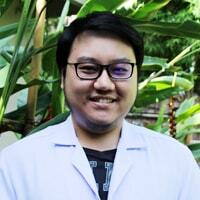 Prior to working for The Cabin, he worked in the Emergency Department of Chiang Mai Ram Hospital. Apisit’s extensive nursing experience and highly honed emergency skills make him a valuable part of The Cabin’s clinical team.